This beautiful sandy-pebble beach is located in the vicinity of Dubrovnik's Old Town, next to the Saint James church. This beach is popular among both local people as well as tourists. 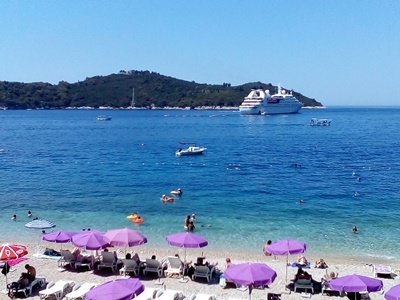 While sunbathing and swimming you can enjoy stunning views of the island of Lokrum and Old Town in the distance. Saint James beach is ideal for young people, families with children as well as sport lovers. 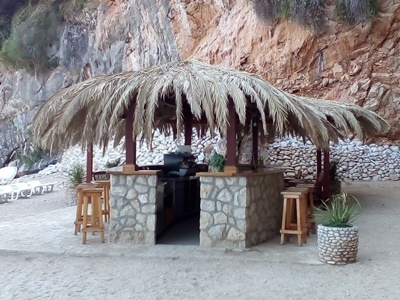 On the beach there is a bar where you can refresh yourself with cold drinks or coffee. On the beach you can rent deck chairs and sun umbrellas. 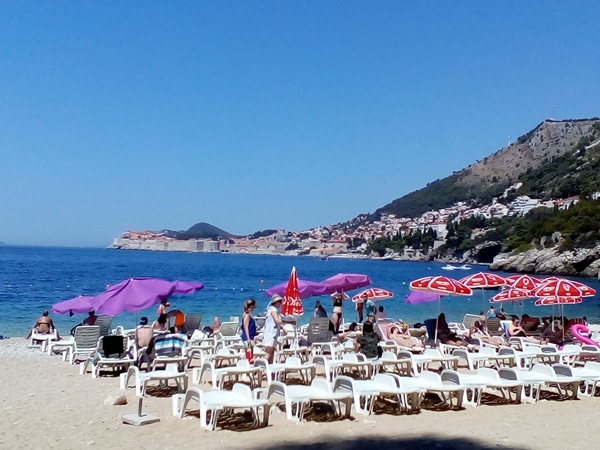 To reach the beach on foot from Old Town you need to walk towards Ploce Gate, continue walking along the road, pass the Banje beach and Hotel Excelsior. When you reach Hotel Argentina turn right and walk for about 15 minutes until you reach St James church. Behind the church there are stairs leading down to the beach (this is not convenient for people with walking problems since there are many steps until you reach the beach). Buses no.5 and no.8 are convenient for reaching the beach by bus. You should get off the bus at the last stop (Viktoria bus stop). Next to the bus stop there are stairs you need to take to reach Vlaha Bukovca Street. At the bottom of the stairs turn left and continue walking for about 15 minutes until you reach another stairs leading to the beach. 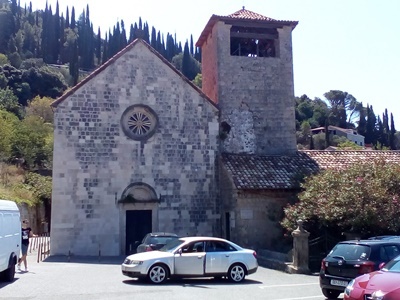 If you arrive by car there are several parking spaces next to St James church.